I'm extremely satisfied with the care given me. Dr. Jadav is trustworthy, professional, knowledgeable, kind & caring. He is approachable & never in a hurry to give you the best service available. His staff patterns themselves after his leadership. Dr. JADAV takes time out to truly explain everything in terms you can understand. He is very intelligent and you can tell he loves what he does. Excellent service very warm and caring environment ! Dr. Jadav is a great doctor; he is very thorough in his examination. He really spends time during eye examination; also explains how other health conditions can contribute to having vision problems. I would definitely visit him for my next eye exam. 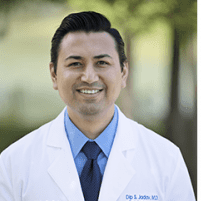 Dr. Dip Jadav is an amazing doctor. His staff is very friendly and informative when it comes to insurance and other questions. We have always had excellent experiences at Outlook. Dr. Jadav performed my cataract surgery. All went quite well. Dr. Jadav is excellent doctor with an efficient office support staff. I really appreciate Dr. Jadav was able to see me so quickly and his entire staff is wonderful. Caring and Skilled. No waiting for for the first appointment. Will definitely visit his office again next year for my routine eye exam. The best eye doctor. He keeps my glaucoma under control. I recommend Dr Jadav for any problem or concerns you might have for your eyes. The staff is really nice and professional also. Total professional and very personable practice. They treat you like a person, not a case number. Everything when well. Waiting on you all to make the appointment for the next step. Very happy with my 2 visits: Highly professional doctor without undue waiting. I had a foreign object get into my eye that caused a laceration. Dr. Jadav was able to find the object and remove it after I had already been to an urgent care facility that was unable to help me. He has very good manners and listens well. He also takes the time to answer any questions you may have. Great experience!